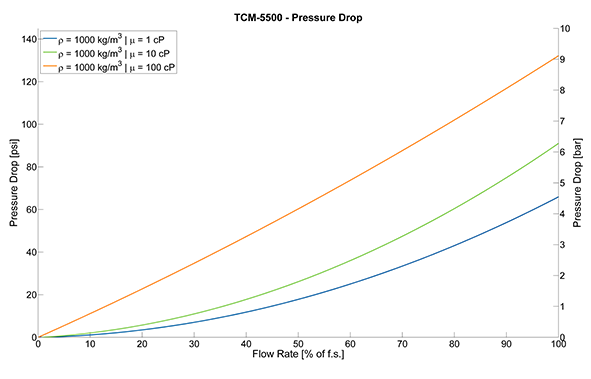 The TRICOR PRO TCMP 5500 Coriolis Mass Flow Meter has a maximum mass flow rate of 5500 kg/hr (202 lb/min) or 830 bbl/day and nominal size of DN15 (1/2”). This meter has an accuracy of 0.1% with a standard pressure rating of 200 bar (2900 psi) and optional high pressure rating up to 345 bar (5000 psi). The transmitter with Digital Signal Processing provides a modern HMI interface, strong logging functionality, and advanced diagnostics. 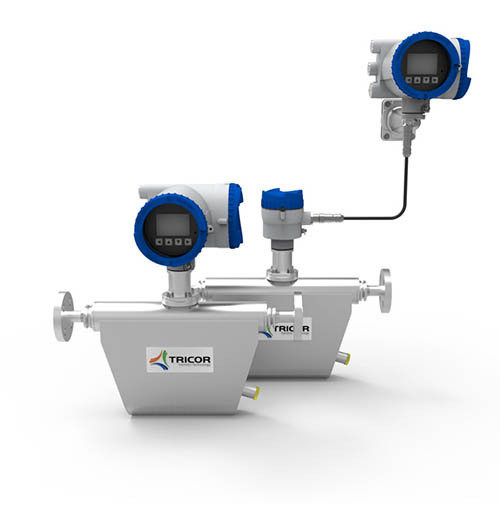 Each Coriolis meter is mechanically balanced to ensure the best in class density measurement and overall performance. 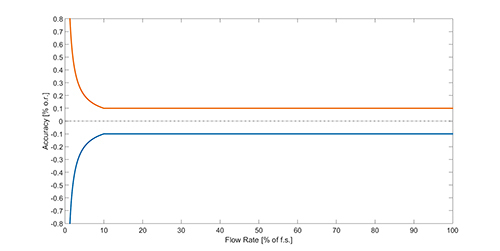 ¹Stated flow accuracy combines the effects of repeatability, linearity and hystereis.